Handmade holidays are so much fun. You can add something unique and special to your Christmas tree with handmade crochet ornaments every year. That’s why we love Christmas and everything related to this beautiful festival. Christmas is coming up and fast. In just about four weeks it will already be a big day. So, we have decided to cheer you up with some of the prettiest Christmas bauble ornament patterns for beginners. If you’re willing to make some lovely bauble ornaments with your own hands, I think this 3D bauble is a right choice. These would also make wonderful gifts. Just put them in a box like you would regular ornaments and make someone’s holiday. 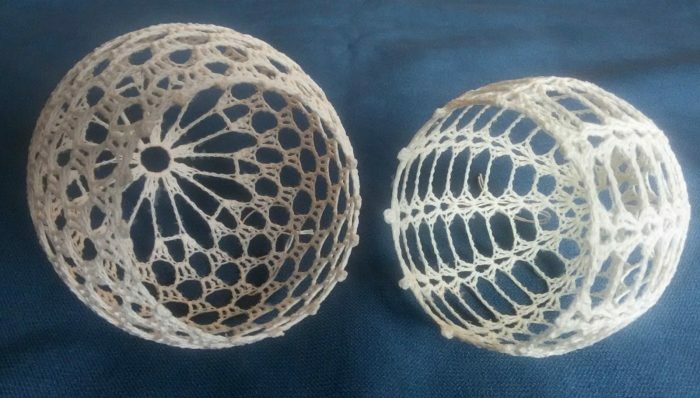 So, here we’ve brought you some of the best crochet tutorials you can find online on how to make these alluring 3D bauble ornaments in the easiest possible ways. Just follow the easy guidelines and make these adorable baubles for yourself or for anyone dear to your heart. Enjoy yourself and always feel free to share your impressions and ideas with us. Good luck and happy crocheting. Learn how to crochet these cute and extraordinary 3D Christmas Baubles using the easy step by step tutorials. Just follow the crochet instructions and decorate your christmas tree with these kind of lovely baubles. Good luck and happy holidays. Wonderful video. Clear and easy to follow especially since I don’t speak the language!